DETROIT -- A federal judge on Friday stuck to the criminal sentence outlined in January to punish Volkswagen Group for illegally importing 590,000 excessively polluting diesel vehicles into the U.S., starting in 2009. An original plea agreement between the automaker and the government called for VW to pay a total of $4.3 billion in fines and penalties and called on VW to continue to fully cooperate with federal and state investigators. The settlement also bound the automaker under an independent monitor for at least three years as well as a number of other conditions to ensure that it will comply with the law in the future. In a federal courtroom here Friday morning, U.S. District Judge Sean Cox called VW’s actions a “deliberate, massive fraud perpetrated by VW management. We don’t know how far up the corporate ladder it goes. Hopefully, the DOJ, and more hopefully, the German government, will continue to investigate and prosecute” those responsible. The Justice Department appointed former U.S. Deputy Attorney General Larry Thompson, who served in the George W. Bush administration, to serve as the independent monitor for VW’s U.S. operations. VW pleaded guilty March 10 to three felonies -- conspiracy, obstruction of justice and introducing imported merchandise into the U.S. by means of false statements -- under an umbrella plea agreement. Without the plea agreement, the government said VW faced potential criminal fines in the cases of between $17 billion and $34 billion. U.S. officials have credited VW for its cooperation with the U.S. investigation after September 2015, when the automaker officially admitted that it had been using “defeat device” software to hide the true emissions levels of its 2.0-liter turbodiesel engines. The company later admitted that similar defeat devices were used to hide the emissions in 3.0-liter turbodiesels in both VW and Audi brand vehicles. During a roughly one-hour hearing, Cox lamented that VW’s management would not suffer enough for its actions in promoting the diesel scandal. “From what I can see, it’s not the management of VW, the ones who get paid big salaries and high bonuses. It’s the little guy,” the judge said before agreeing to impose the agreed-upon penalties. “The person who’s really been hurt is the man or woman who labors at Volkswagen to make the car. Cox also said he hoped other automakers would learn from VW’s actions. The defeat device software VW used to cheat on emissions tests was first discovered in 2014 by researchers at West Virginia University who tested turbodiesels from VW, Audi and BMW. The researchers discovered that the VW and Audi turbodiesels emitted many more times the levels of NOx as were allowed when on the road, but complied when they were being tested in the laboratory. 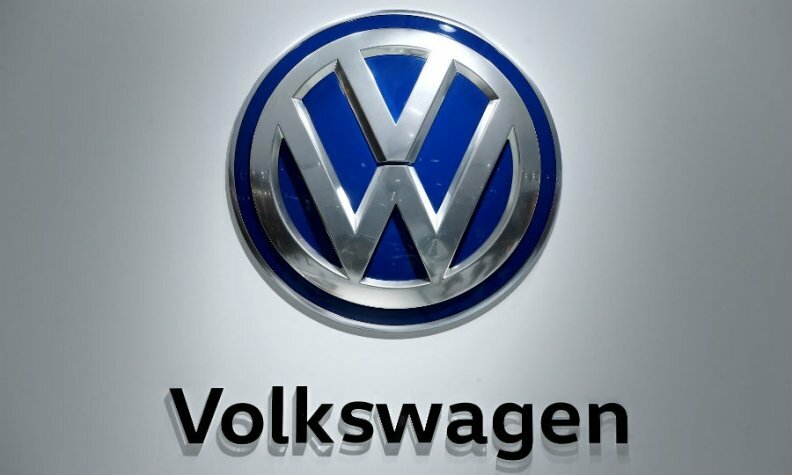 The diesel scandal rocked Volkswagen Group, which is locked in a battle with Toyota Motor Corp. to claim the title of world’s largest automaker, and ignited a global firestorm, resulting in about $25 billion in costs just in North America. VW’s legal peril with the U.S. government may be over, but its buybacks continue, as does civil ligation in the U.S. and criminal investigations elsewhere around the globe, including in its German homeland. More than 11 million vehicles are affected globally. In addition, seven Volkswagen executives have been indicted by the U.S. on felony charges related to the diesel investigation. VW said earlier this month that it had processed or fixed over half of the affected diesel vehicles. In fact, some 2015 turbodiesels -- which dealers had been prohibited from selling off their lots when VW’s actions were discovered -- are now fixed and have been certified for sale, as new cars, in the U.S. and Canada. In court, the government says VW is continuing to cooperate with investigators, at least in the U.S., including gathering forensic data collections and making individuals available for interviews, even overseas. However, in the company’s native Germany, investigators last month raided VW headquarters, the homes of executives, and the offices of a U.S. law firm hired by VW to conduct an internal investigation. Doess said VW is using the diesel scandal to transform itself into a better company. He apologized to the U.S. government and its U.S. customers.